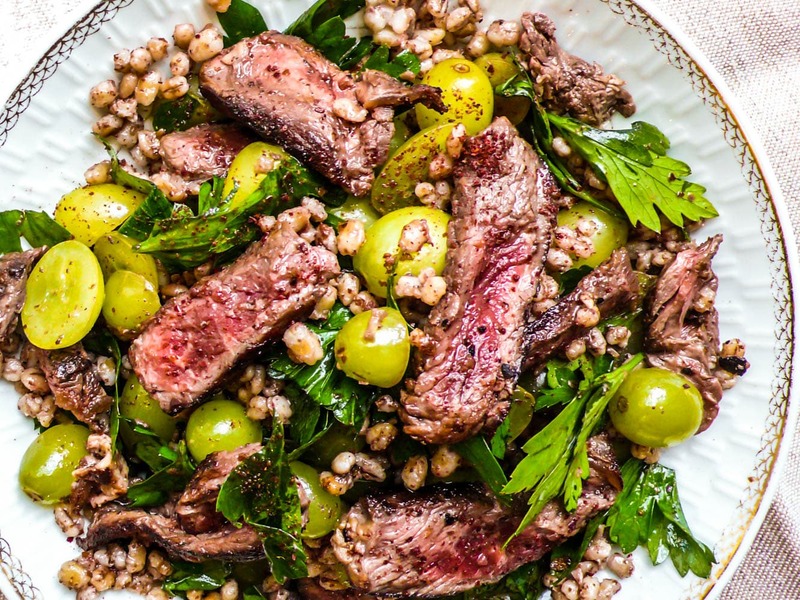 Simple and zingy beef salad with exotic undertones. Side by side in London’s Exmouth Market, one of the buzziest streets in the trendy Clerkenwell area, are the two sister restaurants Moro and Morito. 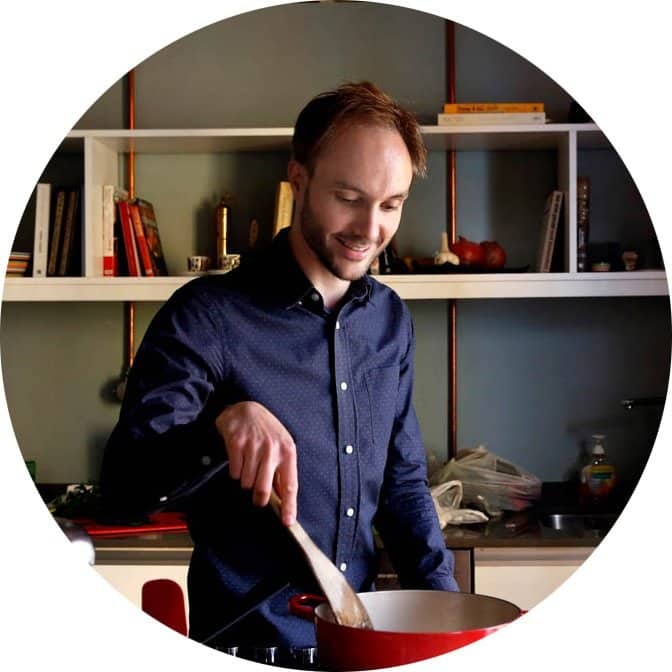 Owned and run by husband and wife Sam & Sam Clarke, they specialise in food inspired by the Moors, the muslims who settled in Iberia and Northern Africa, combining the traditions of Spain, Northern Africa and the Eastern Mediterranean. Needless to say, I was a regular at both when I lived in London. This salad is from their first book, Moro The Cookbook. It’s one of the cookbooks which has inspired my own cooking the most: the flavours and combinations are just extraordinary. This salad embodies what I like so much about Moro’s cooking: simple, filling without being heavy – and with exotic undertones. It’s no coincidence that Moro is known for its relentless hunt for the freshest and best ingredients: dishes like this rely heavily on the quality of the ingredients. In this case, it primarily means a good-quality steak. I served this for my family in Norway, who aren’t quite as used to the combinations of flavours as this. But this was a big hit among all of us. And, to my slight surprise, the salad was just as good the next day (like the Turks, in my family there is never a shortage of food so there are always leftovers). So don’t worry about making too much. And even though some may be skeptical at first and be careful on the first serving, rest assured no one will keep restraints at second helpings. Serves 4. Put barley in plenty of lightly salted water. Bring to a boil and summer until soft, around 45 minutes. Drain and set aside. Mix the marinade ingredients. Rub the steaks well with the marinade, cover and leave for 1-2 hours. I left mine in the fridge, removing it around half an hour before cooking. Make the dressing by whisking together the ingredients. Season. According to Moro, the salad is to be mixed just before serving, however, I find it is even better if the flavours are allowed to mingle for some time. If you want, mix the cooled barley, grapes and dressing ahead of time. Just before serving, place a griddle pan (if you have, I used a normal frying pan on this occasion) on high heat. When really hot, rub the steaks with a little olive oil and fry until medium/rare or rare, seasoning as you go along. According to Moro, 30 seconds on each side suffices if your pan is really hot, but follow your instincts on this one, keeping in mind that beef going into a salad can be cooked a little less than one to be eaten as is. Set aside to rest for a couple of minutes. If you didn’t earlier, mix the barley, grapes and dressing now. Slice the sirloin into thin slices. Add the parsley and half the sirloin slices to the salad, toss well. Transfer to a serving plate and top with the remaining sirloin and an extra scattering of sumac, if you like. I love this recipe so much! Sometimes though, I will just make a side salad with the barley, grapes, lettuce, herbs, and dressing. Either way its awesome!